Guangzhou is literally turning green, dressing up for the big show. 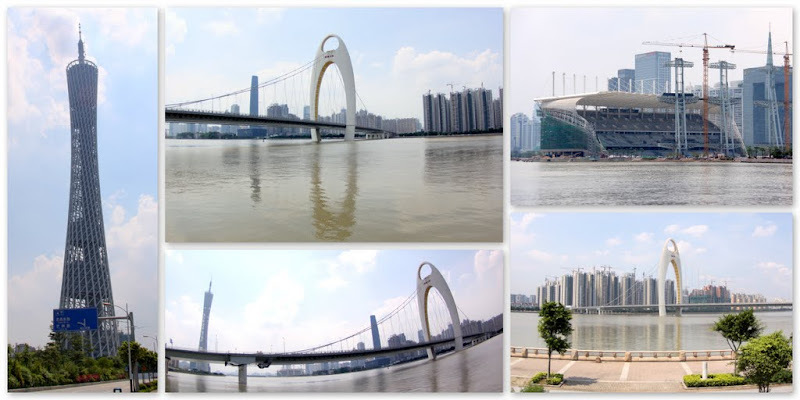 Come Nov 12th, Guangzhou will host the 16th Asian Games. Big international events really "force" the Chinese government to clean up their messy host cities. Just look at Beijing 2008 and Shanghai World Expo 2010 – Not only the government got rid of the ugly and messy sign-boards, they also cleaned up the vices off the streets. Overnight, a rouge city was transformed into a tidy modern metropolis. (You see new monuments / bridges, more trees / parks, new airport terminal, better public transit, wider and cleaner roads, hornless drivers, friendlier hotel service etc). Just hope the Chinese government continues to maintain these standards for her people and not not just doing this for the "show".